Batman vs. Superman: Will Wonder Woman Finally Appear? Taking a page from the Marvel world -- which has effectively introduced characters in the most magical of ways (Falcon in Captain American: The Winter Soldier) -- Warner Bros.' president of creative development and worldwide distribution Greg Silverman admitted in a recent interview that we might see Wonder Woman in the Man of Steel sequel, Batman vs. Superman. "We are taking it all very seriously and are trying to do a plan that's respectful to those characters and maximizes the stories as best they can,” Silverman told Variety. “So everything that has been speculated are things that we've thought about." The idea has clearly been on Warner Bros. and DC Comics’ minds as to how to introduce the wildly popular character of Wonder Woman who has never been seen on the big screen. “We have been doing a lot of thinking for years about how to best use all those characters and we love them. Wonder Woman is an amazing character,” Silverman said. “I think it's a great opportunity both for box office success, but also to have an amazingly powerful female superhero." Who do you think should play Wonder Woman on the big screen? 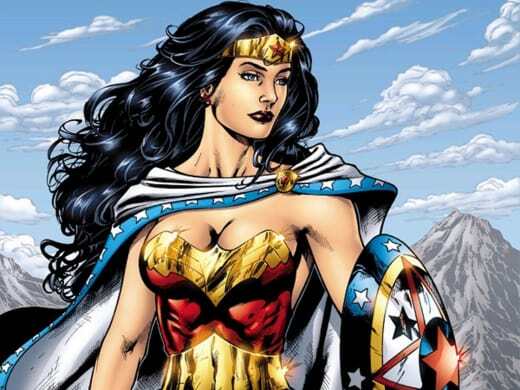 Will Wonder Woman Be In Batman vs. Superman?